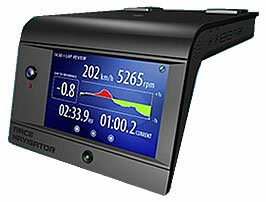 The “Race Navigator” by Macrix is a mobile automotive aftermarket device which assists the driver and his trainer in sports driving on race tracks. As part of the cooperation with Macrix, Variscite developed the electronic board hardware and low-level software BSP and drivers for this product. Based on the company’s proven VAR-SOM-OM44 System on Module, Variscite’s exclusive end-to-end solution took into account the application’s unique size, performance, power and environmental parameters. Variscite’s high quality customized design and production processes are targeted towards the automotive market’s stringent standards. A temperature range of -40 to 85 °C, together with a ten -year longevity commitment on critical components ensured this industrial-grade product could cope with the severest of environmental conditions. The VAR-SOM-OM44’s advanced multimedia features, incorporating advanced graphics and video capabilities, dual camera input and high-resolution display proved ideal for this high-end multimedia device. Special attention was given to optimizing power consumption and heat dissipation, including a dedicated heat plate design and optimization of the battery management system.